When it comes to chowing down, Cleveland is chock-full of restaurants and cafes that can fulfill any craving. While we have plenty of hangover spots to go to and artisan pizzas that look too cool to actually eat, we’re also killing the healthy restaurant game. 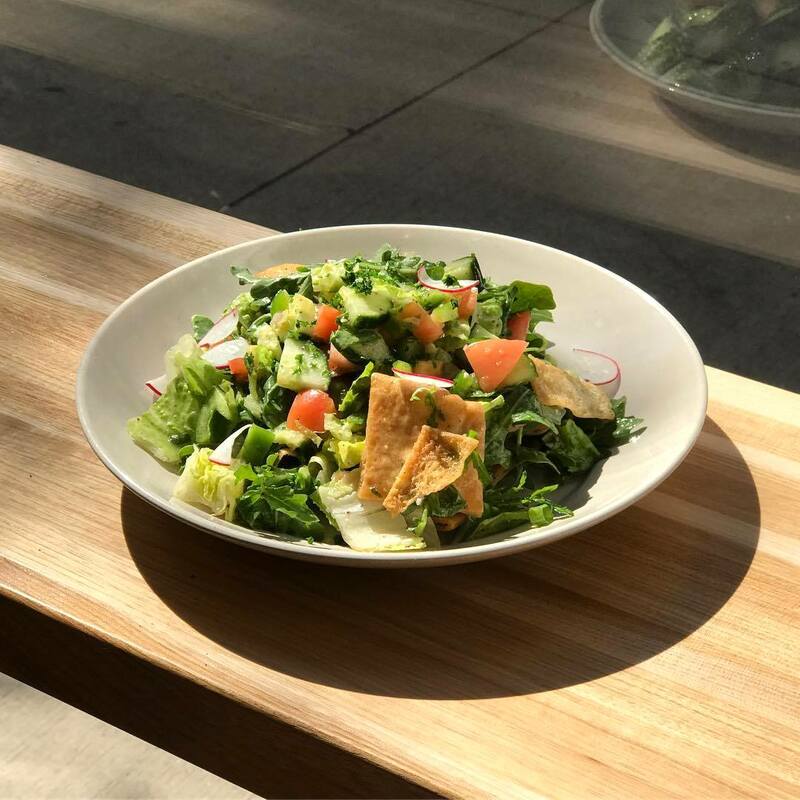 Whether you’re gluten-free, vegan, vegetarian, paleo, or just like to eat clean, Cleveland’s got your back (or should we say stomach?). BIBIBOP isn’t just fun to say — it’s downright delicious. This is one grill that is bringing well-balanced meals with an Asian flair to University Circle, University Heights, and soon Pinecrest. 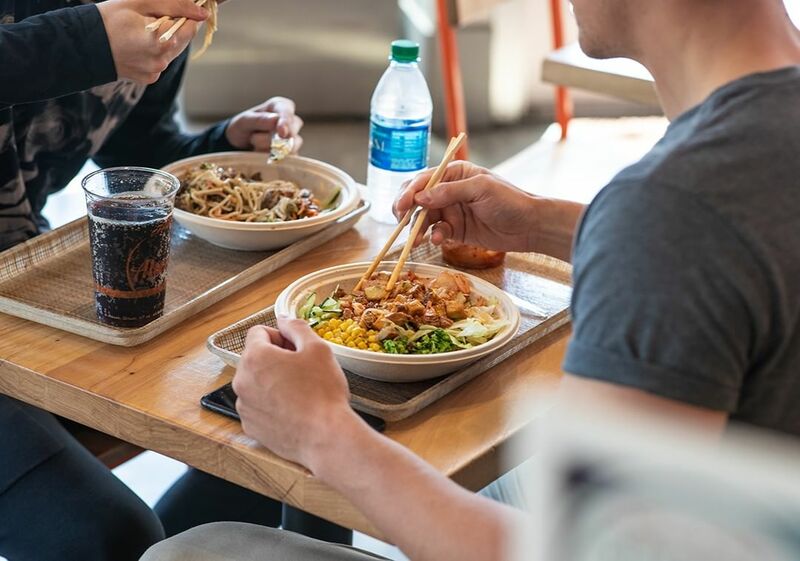 Pop in and get ready to create your own BIBIBOP rice bowl. Pick your base out of purple or white rice, salad, noodles, or a roll. Choose some snazzy toppings like black beans, bean sprouts, or potatoes. Pack it with some clean proteins and top it off with raw toppings like cucumber, carrots, kale, and more! This is not your grandma’s Indian restaurant. 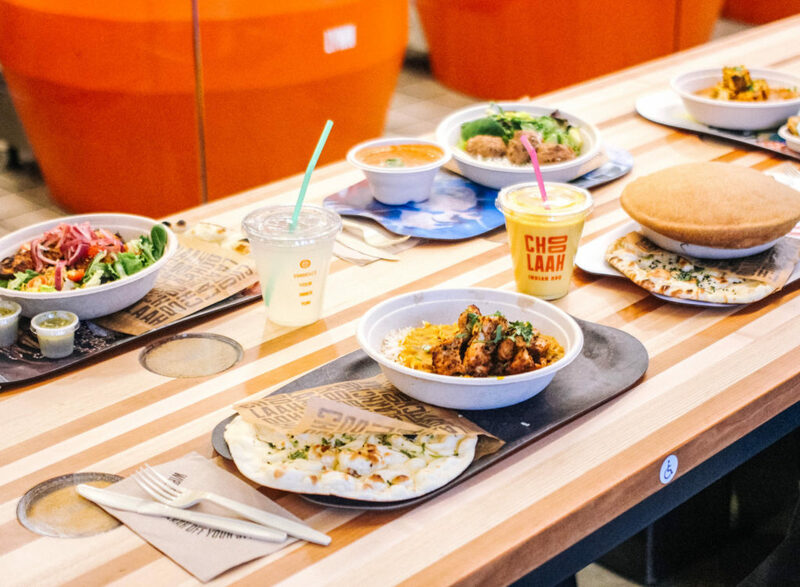 Choolaah, a fast-casual Indian BBQ spot in Beachwood is bringing a modern twist to classic Indian meals with customizable tandoor BBQ bowls, salads, wraps, and snacks that feature tangy masalas and fresh-baked Naan (um, yum!). And don’t worry if your vegan, vegetarian, dairy-free, or gluten-free — they’ve got plenty of options for you, too. Hello, veggie croquettes. Bonus: their open kitchen concept lets you watch your meal being made in their custom tandoor ovens. Get ready to eat happy. We all like Mediterranean food, right? Hummus, lentils, shawarma — what’s not to like? Well, at Ohio City’s Boaz Cafe, they’re making it a lot easier for us to get the Mediterranean food we want. This cafeteria-style hot spot gives you the chance to make your own bowl; choose a base (greens, lentils, rice), pick a protein (beef shawarma or grilled chicken), dress it up with some grains, veggies, and fruits, then select a dressing. It’s easy, it’s healthy, and there’s zero artificial preservatives. 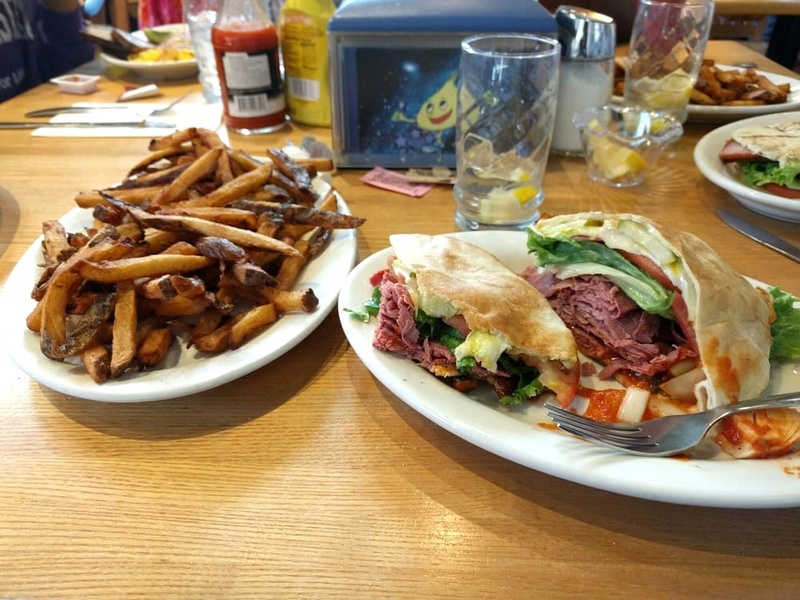 Tommy’s Restaurant is kind of Cleveland’s hidden gem. After opening in the ’70s and switching to a few different locations to appease the hoards of customers, Tommy’s now calls Coventry home. 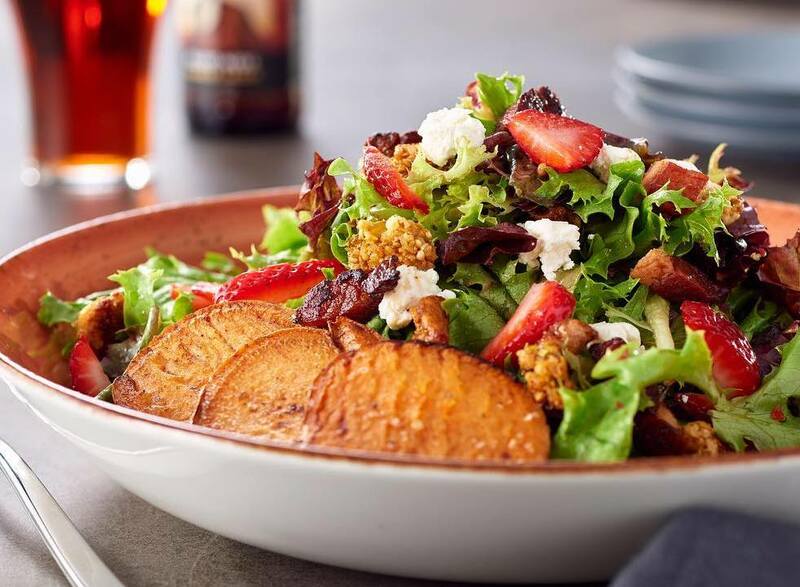 More importantly, no matter what your dietary restrictions are—whether you love meat or adore vegetables—Tommy’s is all about choices. 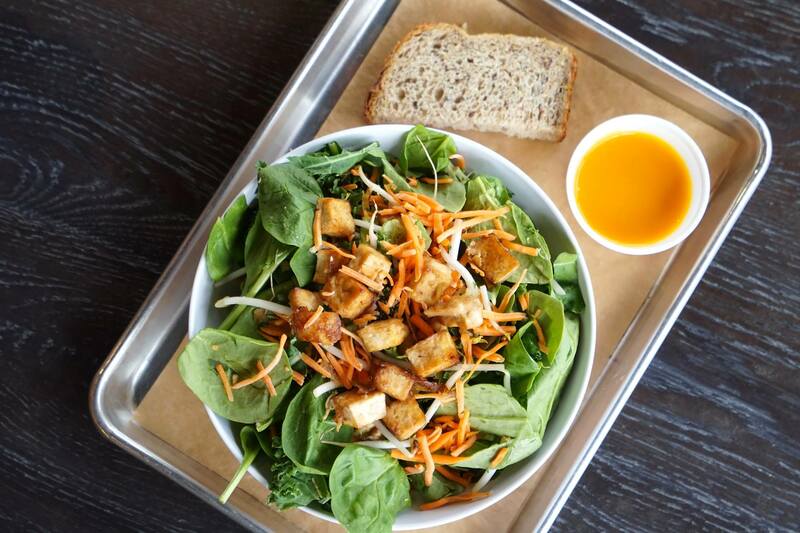 Stop by for breakfast, lunch, or dinner to have your mind blown by the amount of healthy eats on their menu. Offering clean, organic, and local fare is what Daily Press promises Cleveland. 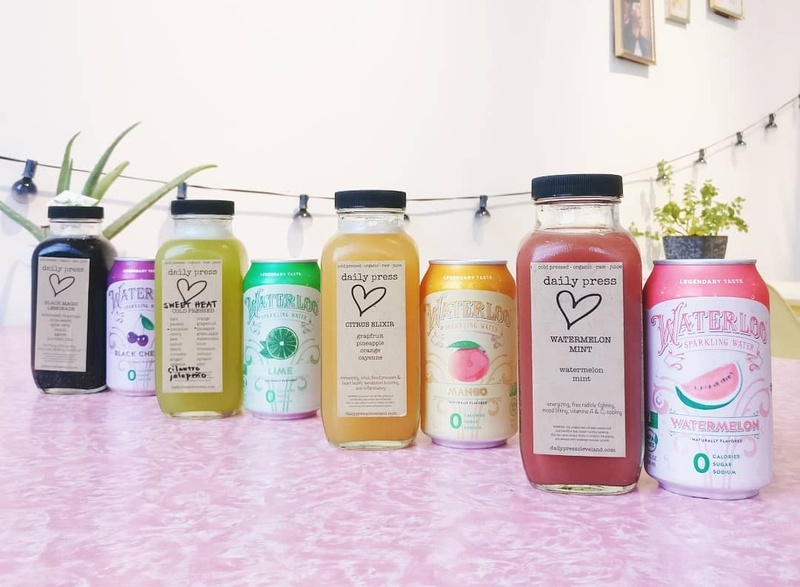 And while they’re mainly known for their juice bar, Daily Press also has a vegan cafe that’s perfect for a quick snack during your juice (or coffee) break. Grab some toast or a panini on gluten-free bread, drink a smoothie made from homemade cashew milk, or turn any smoothie into a bowl, then cruise around Gordon Square Arts District. 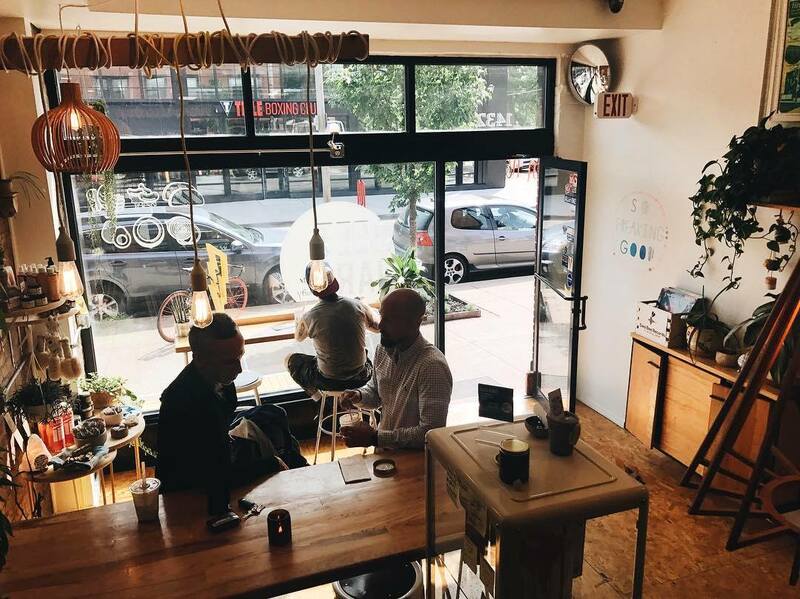 Plant-based cafes give us life, and thanks to pHuel Cafe’s two eateries on Euclid and Chester Ave., we’ve got more to choose from. This cafe is way more than just bowls, soups, and sandwiches, though — they also trying to educate the area about how to fuel your life through clean eats. In addition to chowing on seaweed salads and BBQ tofu, you can also join their cooking demonstrations and learn how to bring wholesome eating to your life at home. Let’s call REBoL TownHall’s little brother. Besides having the same owner, REBol in Public Square also serves a menu free from GMOs and offers only the highest quality ingredients. 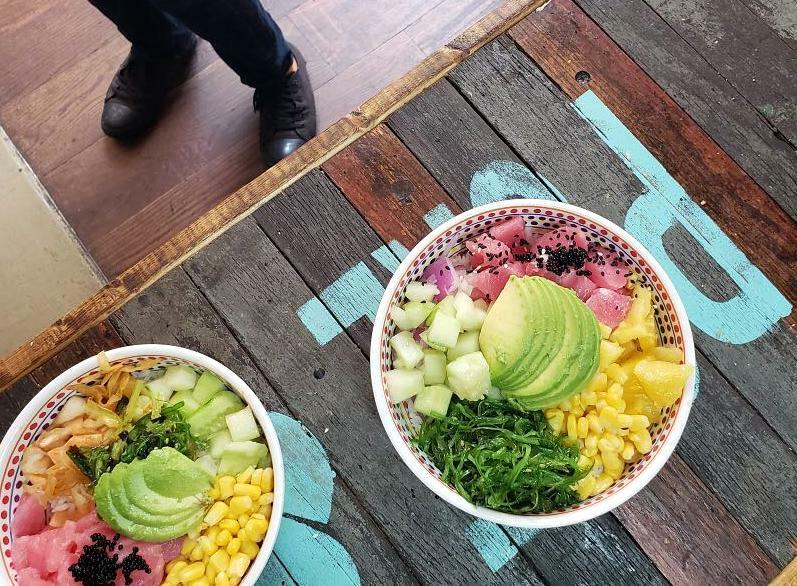 What separates this place from the others is their selections consist of signature and DIY bowls that are too good to pass up. 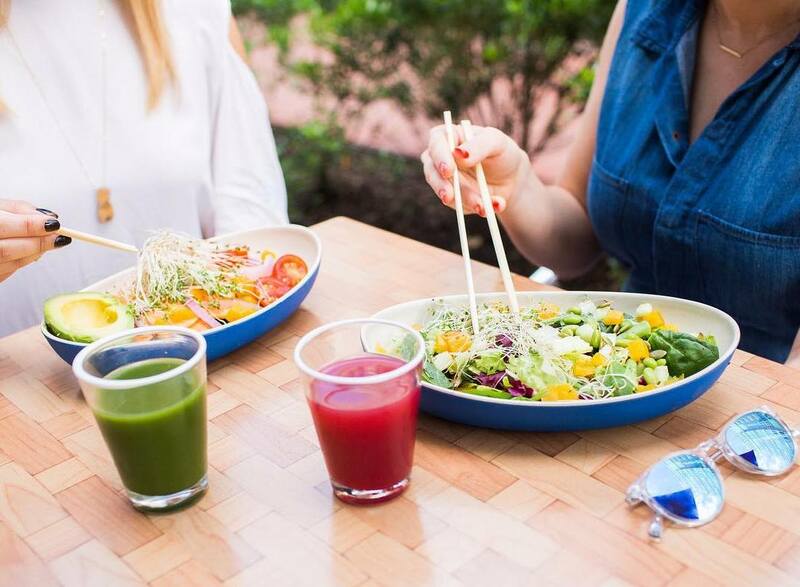 From “bols” like their Tuna Poke (kale & cabbage salad, avocado pico, miso cabbage, apricot ginger, and sesame) to their paleo smoothies, REBoL is the perfect spot for a healthy meal on the run. 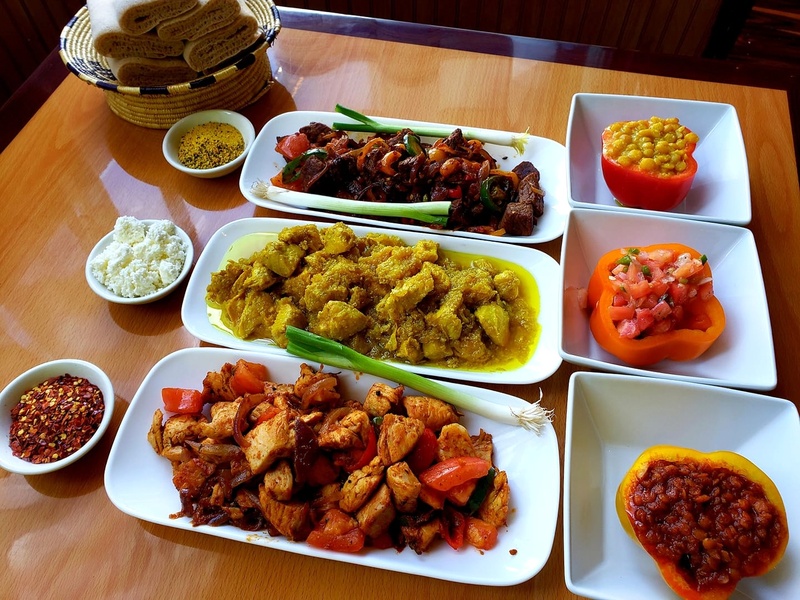 Small portions, shareables—all made to eat with your hands—there’s good reason that Zoma is Cleveland’s go-to Ethiopian restaurant. Oh, you’ve never had authentic Ethiopian food before? Well get used to it because Lee Road’s Zoma’s vegan and vegetarian meals are making people talk. From vegetable filled stews to vegan side platters made to share, Zoma is about to spice up your palate (in a good way). 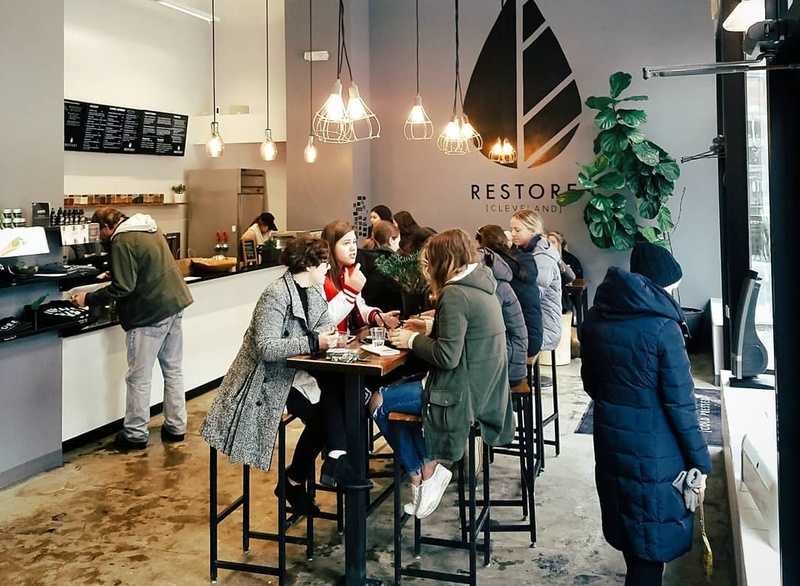 Restore Cold Pressed is obviously known on Huron (and now Hudson) for having some of the most refreshing and rejuvenating juices, smoothies, and cleanses in Cleveland. But did you know this high-quality, organic juicery has snacks, too? (Healthy snacks, might we add.) Order up a delicious acai bowl, or, if you want something a little more solid, you can grab some steel-cut oats, avocado toast, or almond butter bread. Most Clevelanders know that Cleveland Vegan in Lakewood caters, but did you know that you can dine in-house, too? Well, now you do. With an ever-changing seasonal menu, Cleveland Vegan switches it up all the time to keep diners guessing. All food is made sans animal products, and uses locally-grown and organic ingredients whenever possible. If anyone has ever said vegan food was “bland” or “dull”, Cleveland Vegan will change your mind with their Classic Mac n’ Cheez Bake and Red Curry Noodles. 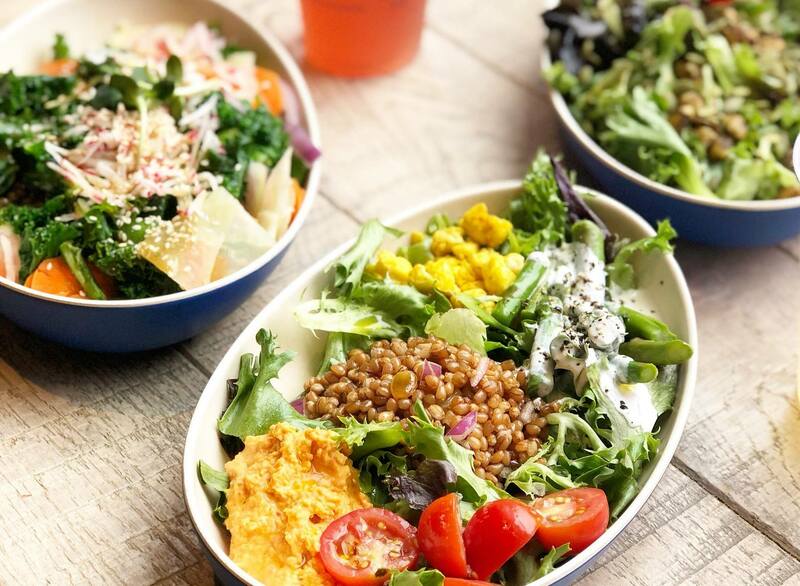 Like other juiceries on this list, Hingetown’s Beet Jar is a plant-based takeaway spot that has everything your body could ever want. From organic cold-pressed juices to morning shots (not those kind of shots) and raw chia pudding, this is the perfect place to stop by for a quick and healthy snack. 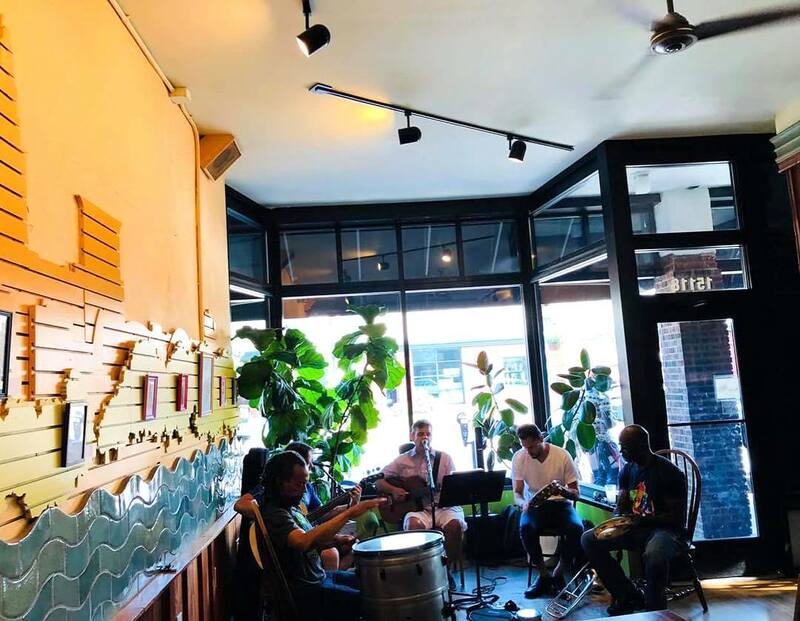 Barroco arepa bar is way more than just a cozy eatery, it’s a concert cafe where you can go get some grub, listen to live music, and not feel crappy about what you’re eating on a night out on the town. With three locations (Birdtown, Larchmere, and soon Crocker Park! ), stop in to explore their menu; it’s 80% gluten-free! Also, if there’s any menu item that has a carrot symbol next to it, Barroco can make a veggie version of it. High-five, vegetarians! Café Avalaun is a safe haven for all those who dread gluten. This Warrensville Heights cafe is 100% certified gluten-free and is just waiting for you to try their crepes, paninis, salads, soups — you name it. 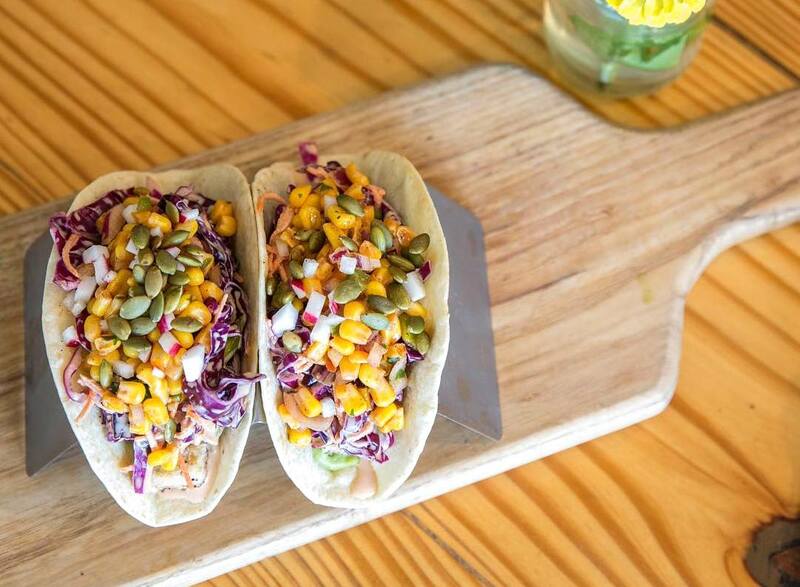 To make it easier for every kind of eater, each item on the menu is labeled vegetarian, vegan, dairy-free, or nut-free. So, if gluten is your enemy, Café Avalaun needs to be on your to-eat list. The Root Cafe does more than serve up tasty coffee and tea (with homemade flavors and milks). They are also a vegetarian kitchen that boasts way more than toast. There’s veggie-based pizzas and wraps, and brunch specials that will blow your top off (not literally, of course). Sauces and spreads are all made from scratch, and all fruits and vegetables are organic. As you’ll soon see, The Root in Lakewood is the quintessential cozy cafe where you can feel good about what you’re eating and sipping on. Ohio City’s TownHall is the epitome of healthy. With a menu free from GMOs, it’s filled with snacks, meals, and drinks arranged by dietary preference. There’s Vegan Night on Mondays, Paleo Night on Wednesdays, paleo/gluten-free chicken fingers that are to die for, and a whole lot more. The best part is TownHall is passionate about serving clean and good-for-you meals that will make you keep coming back for more. 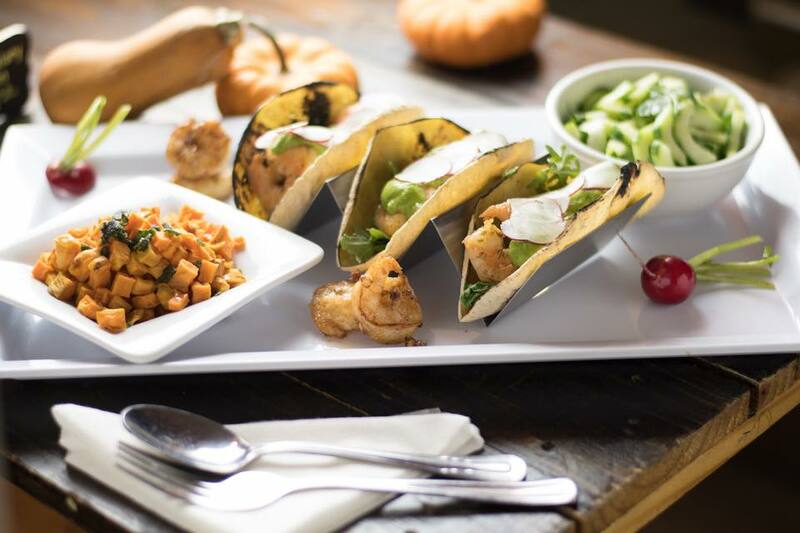 Market Eatery’s main goal is to whip up healthy and organic meals. 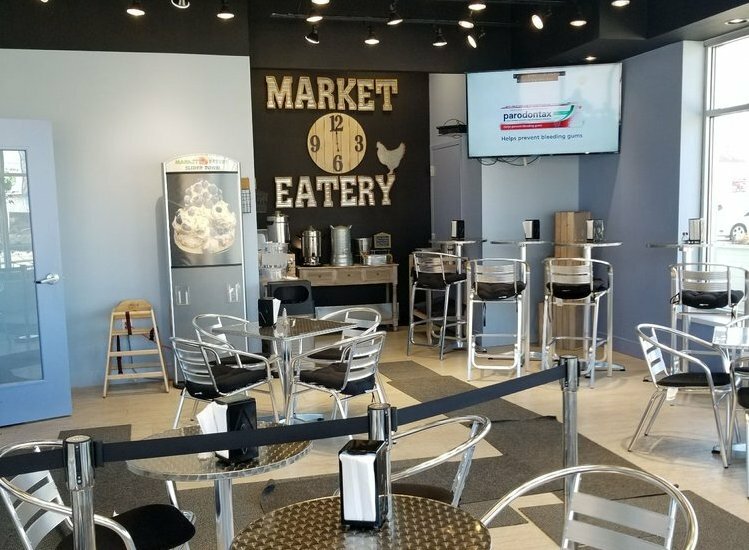 Whether you’re dining in or taking out from their Bedford Heights spot, Market Eatery is here to serve. Sip on some energy inducing smoothies, or try out their plant-based burgers (with some sweet potato fries). And, believe it or not, this place is known for waffles (with vegan topping options) that really hit the spot. Fitt Tip: stop by on Mondays to get $1 off any smoothie! Cleveland is filled with a variety of ethnic eateries, but none are as tasty or as healthy as Zaytoon’s Lebanese cuisine. 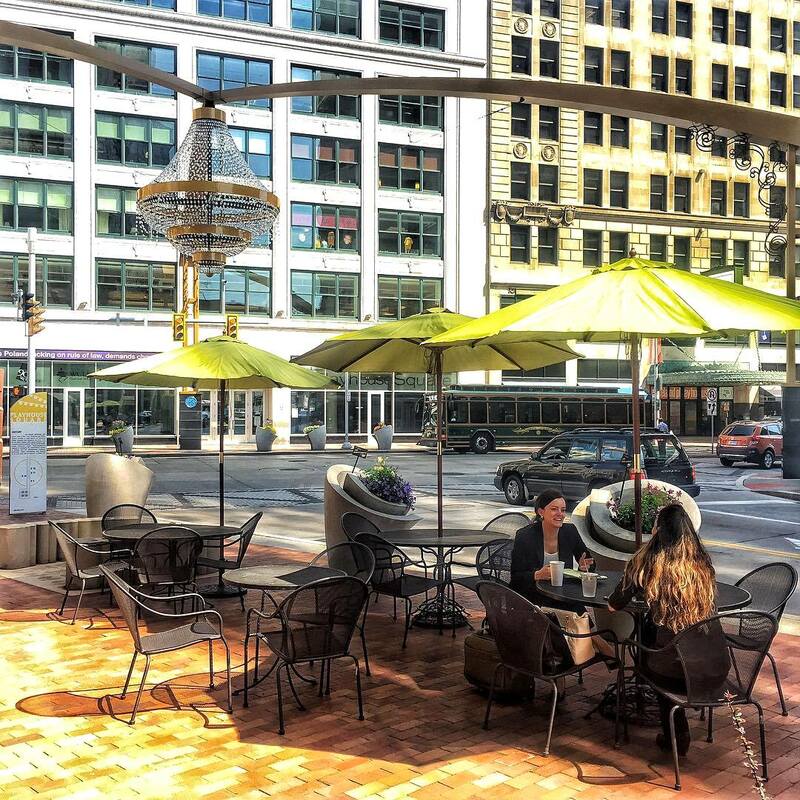 This Playhouse Square restaurant is open for breakfast and lunch, and offers fresh ingredients — all made in-house. Just picture starting your morning off with a vegan breakfast pita or a gluten-free quinoa lentil salad. Yes, please! 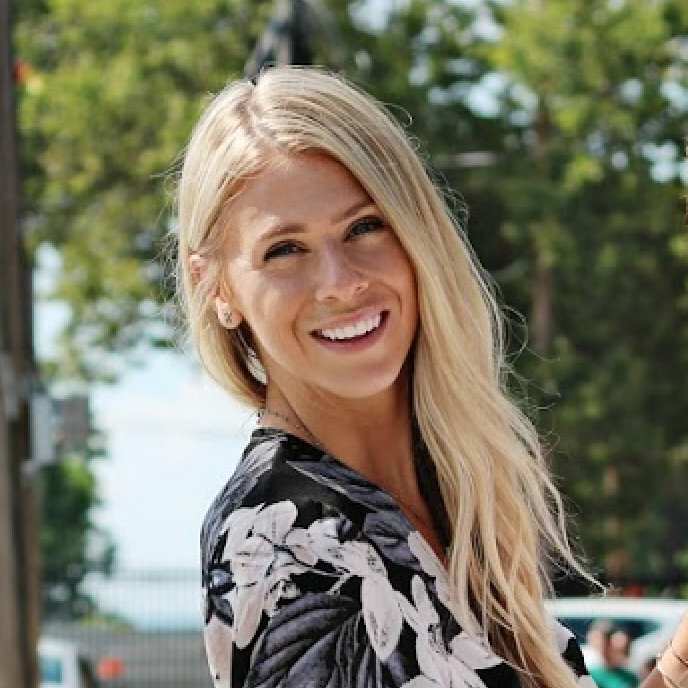 CoreLife sure has made its name known on the East Coast, and now they’ve claimed real estate in both Mentor and Strongsville. Known for their delicious selections, health-conscious eaters can create their own green or grain bowls—and power plates—and feel good about what they’re fueling up on. Fitt Tip: Keep up with their Facebook page for monthly fitness pop-ups! There’s magic in vegetables for those who see it, and Beefsteak is here to showcase that magic. Posted up on Cleveland Clinic’s campus, Beefsteak serves up veggie bowls, salads, and vegan burgers for the taking. Create your own bowl or pick one of their specialties, like their Little Wild Curry bowl (rice, lentils, carrots, onion, kale, kohlrabi, green curry sauce, shoots, sesame seeds, and radish). 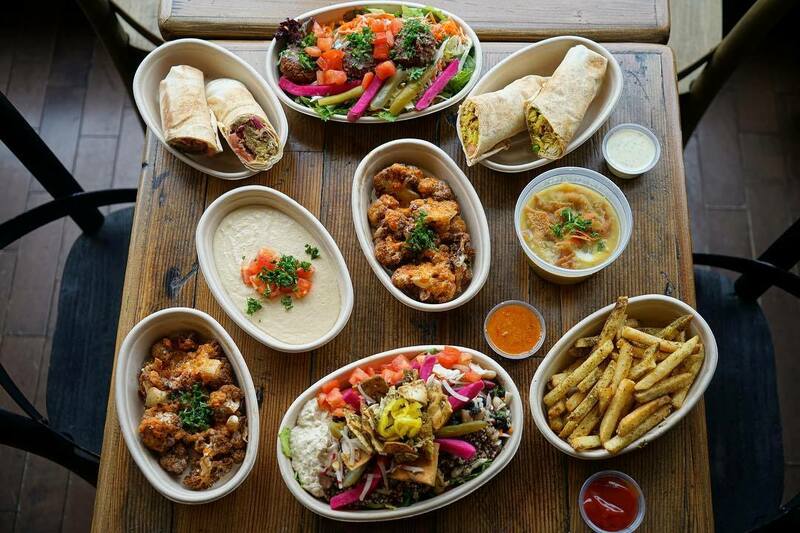 But if you’re not near East 100th St., you can always order delivery! 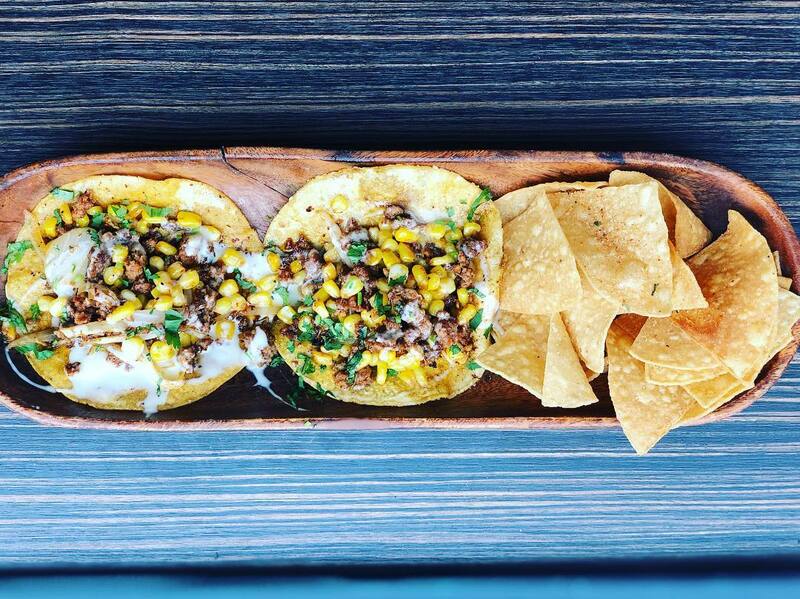 2nd & High isn’t just a place dedicated to clean eats — it’s a place to have a good time. Nestled in heart of downtown, this fast, casual eatery centers around Hawaiian poke bowls (and some killer cocktails). Start with the Taro Chips topped with guacamole and Island Salsa, build your own bowl, and add a couple of sides (chickpea salad FTW!) to your order. 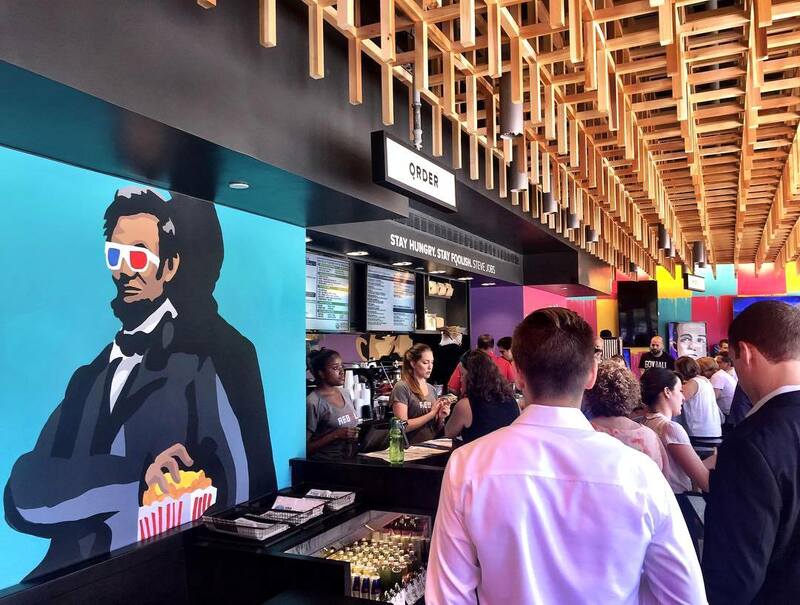 Whether you’re catching the Cavs game or just looking for a solid happy hour, get to 2nd and High for the best of both worlds.